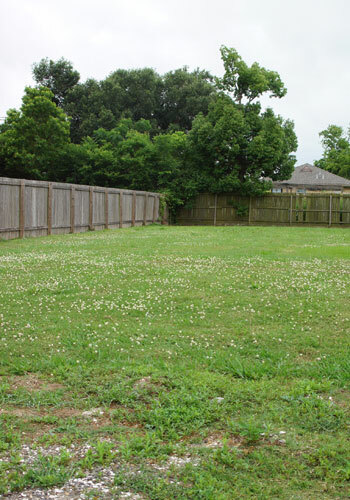 “A city-wide approach to dealing with water has failed in New Orleans. 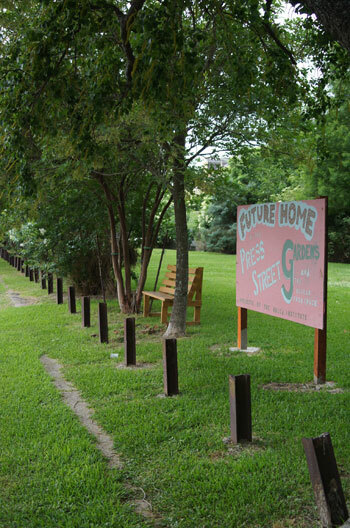 We must now go neighborhood by neighborhood,” said Wes Michaels, ASLA, a partner at Spackman Mossop and Michaels (SMM), a landscape architecture firm. To address the challenges of water, “we must be tactical, strategic, nuanced, and very culturally sensitive, as New Orleans has one of the highest percentages of native-born residents. We have to focus on the ecological but also the cultural. We must create a balancing act between the two. 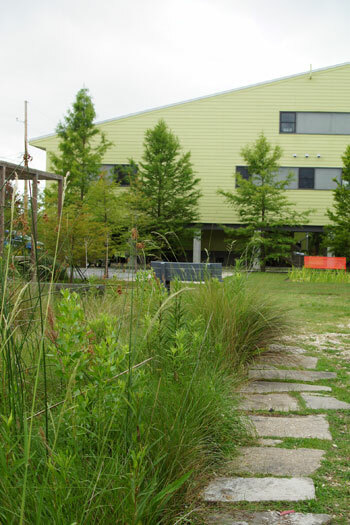 Any ecologically-designed landscape must also work for the community.” In a wide-ranging afternoon tour of the city nearly 10 years after Hurricane Katrina, Michaels showed how his firm and others are helping the city achieve that delicate balancing act. 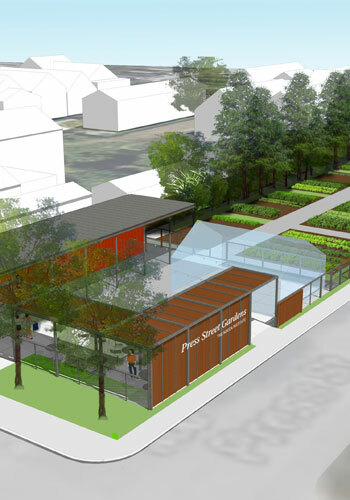 Michaels told me this kind of project is one of the few large-scale landscape developments moving forward in New Orleans these days (most others are trapped in a variety of morasses). “We must work at the small-scale and in-between places in this city. But we can still do really meaningful projects with low budgets.” He argued that, in a way, New Orleans has benefited from its lack of money. “The city didn’t have money to rebuild itself over and over again as other cities have.” So what you get is all that old character that draws million of tourists every year. 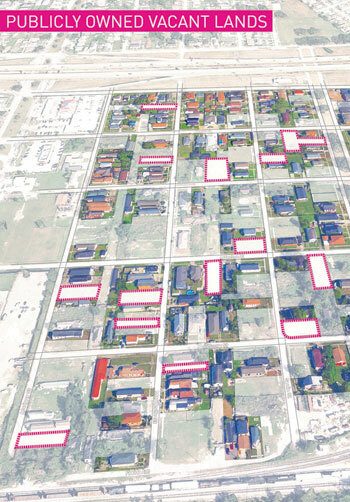 To that end, a new effort by NORA will attempt to organize empty lots into a green infrastructure network that can test cultural perceptions. Michaels explained that NORA also created the Growing Home program, which incentivized people who own properties next to empty lots to purchase that lot for just $4-5,000. To help sell this to the community, SMM created overlays for the web site to show how people could “build landscape credits” needed to keep ownership. NORA would refund them on the cost of materials used. 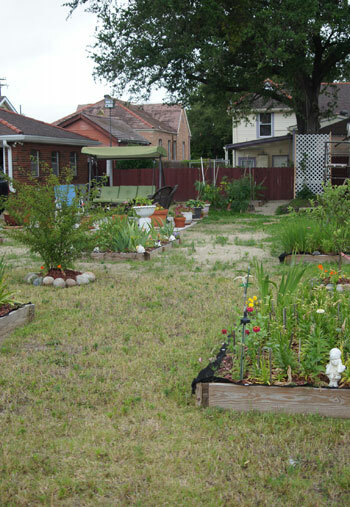 Some 800 lots were turned into useful places — vegetable gardens, children’s play areas, workshops, or just places to relax. 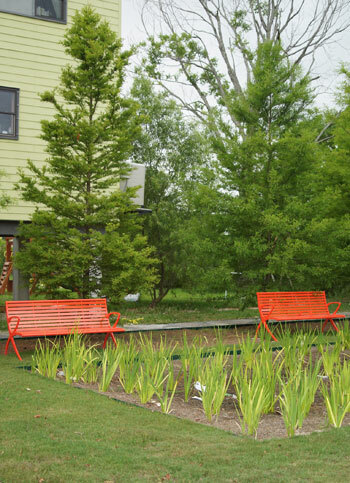 We then move onto a part of Lower 9th Ward made famous by Brad Pitt and his Make It Right Foundation, which has financed the development of green residences for those affected by Katrina. A slew of big-name architects have come in to create some very architecture-y buildings. Mixed in all these buildings is a new park that NORA, LSU’s Urban Landscape Lab, SMM, Make It Right, and Common Ground got together. 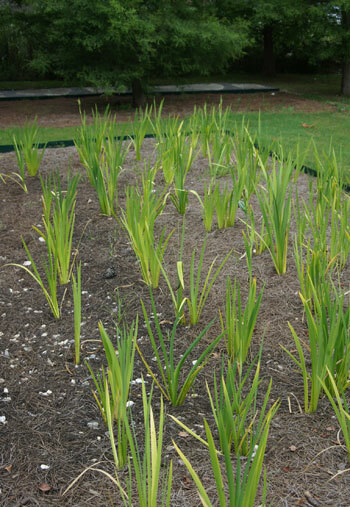 There are test beds for stormwater management, including a wetland demonstration garden. Amid all the pieces that deal with stormwater are some nice spots to sit and chill. Our tour then took us to where the balance between culture and ecology truly broke down. We stop at the new viewing platform created by LSU professor Austin Allen and his landscape architecture students, the University of Colorado at Denver, and community members. Once you get up to the top of the deck, you are momentarily stunned by the view of Bayou Bienvenue — a broad expanse of a “ghost swamp,” a dead Cypress forest, killed by salt water. As you read the educational materials on the deck, you learn that one million acres of wetlands and forests have been lost around the Mississippi River. Wetlands are a natural buffer. “The energy in storms is dissipated by wetlands. They create friction. If a wetland is lost, it becomes open water, which only adds to a storm’s power,” Michaels explained. 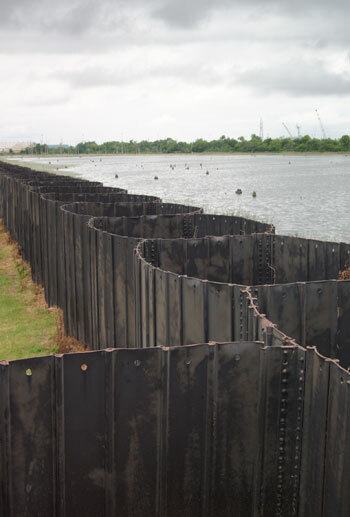 As Louisiana has spent $13-14 billion rebuilding New Orlean’s pumping stations — protecting them from being destroyed themselves as they were during Katrina — the city continues its careful balancing act between the cultural and ecological. Underneath it all, creating even more challenges, the city is sinking, perhaps at an accelerated rate.